FANS of the Harry Potter series of films will be delighted at the announcement Proserpine Entertainment Centre will be screen the film Fantastic Beasts and Where to Find Them. It's been almost five-and-a-half years since the eight-film Harry Potter franchise handed in its wand. So the sight of the Warner Bros logo cloaked in familiar blue-grey light while a sampling of John Williams' score induces tingles with its tinkles is, well, magical. 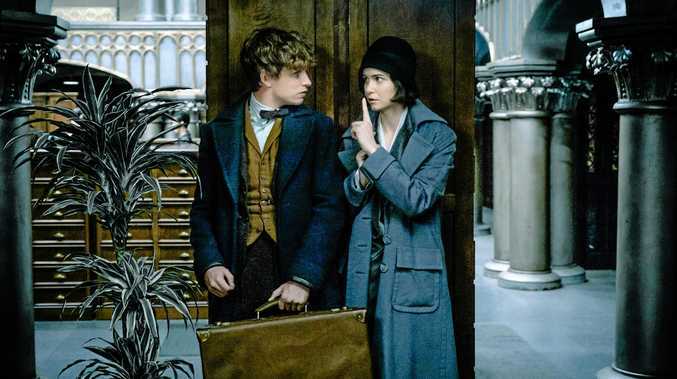 As Potter-heads already know, Fantastic Beasts and Where to Find Them is the first of a planned five-film prequel series, with this instalment set in 1926 New York - a bewitching location that looks like the wide screen cityscapes of Once Upon a Time in America have been sprinkled in fairy dust. Newt Scamander, the author of the titular textbook that Harry studies in the first movie The Philosopher's Stone, arrives in New York on the home leg of a global excursion dedicated to cataloguing exotic creatures. Such beasts are banned in New York, where the magical community is presently keeping a low profile, and for good reason: dark wizard Gellert Grindelwald has disappeared after wreaking havoc in Europe; a mysterious force is attacking New York; and No-Maj bigotry is being zealously stoked by the fanatical Second Salemers, led by Mary Lou. Unfortunately for Newt, some funny business involving likeable Muggle Jacob Kowalski and a suitcase switcheroo leads to some of Newt's creatures springing the clasps on their Tardis-like home and high-tailing it into a city already on red alert. What follows is a succession of chases, and slapstick set-pieces, and reveals various beasts and hidden motives and desires.